The plane chair is an exploration in repetition, specifically the repetition of planes. Taking a modular design approach, the chair is composed of three parts, 178 pieces in total. This project presents a vision of an expandable flat pack chair that people can build at home. The plane chair is an exploration on repetition, specifically the repetition of planes. Taking a modular design approach, the chair is composed of three parts, 178 pieces in total. A dynamic pattern and structural rigidity to hold a person is generated through the intersection of planes. Combining laser cutting and handcrafting techniques, the chair is completely held in tension. 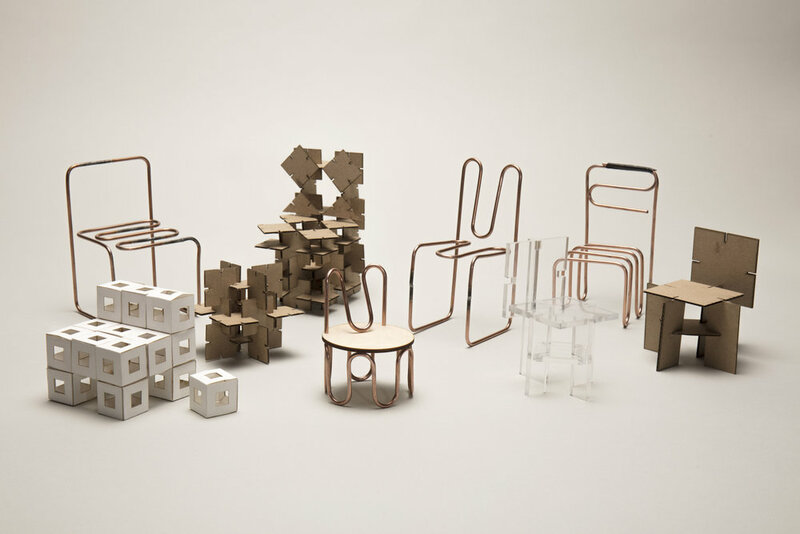 This project presents a vision of an expandable flat pack chair that people can build at home. Initial explorations in repetition began with lines, bends, and angles. Driven by the process of thinking through making many 1:5 scale prototypes were made. The development of this interlocking planar piece led to an investigation in form, materiality and proportion. On a 1:1 scale, specific materials were chosen for prototyping. 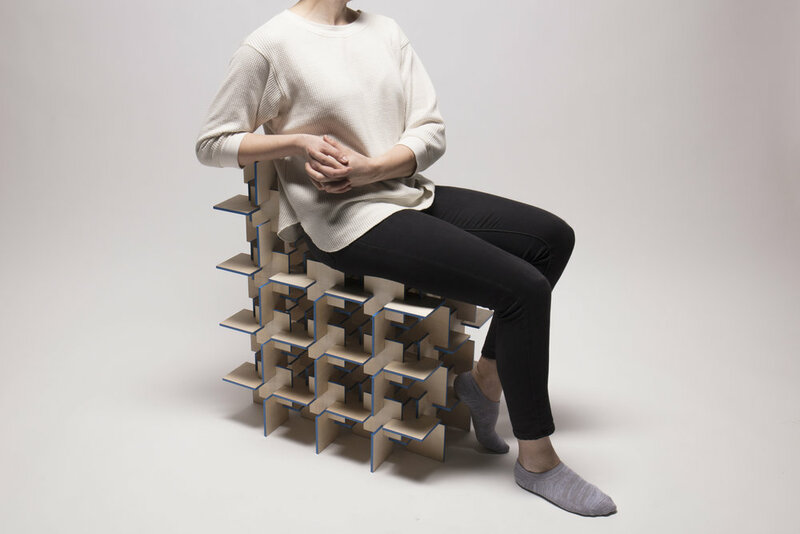 Thin cardboard was used to test module size and a full-scale model of the chair for physical dimensions and size. Various joints and tolerance studies were done to make sure the chair can be assembled without the use of glue. The simple nature of the module allowed for an in-depth material and color study, exploring the changes in design language based on the same form.